The National Parks Association of the ACT is a not-for-profit environmental organisation. Our members volunteer to work on the committee, the subcommittees and working groups. Support us Today, the Association works to promote national parks, their good management, and the protection of our fauna and flora, scenery, natural features and cultural heritage. Come to work parties The NPA ACT Inc. conducts monthly work parties (except December and January) to assist with the management of national park lands in the ACT and surrounding NSW. 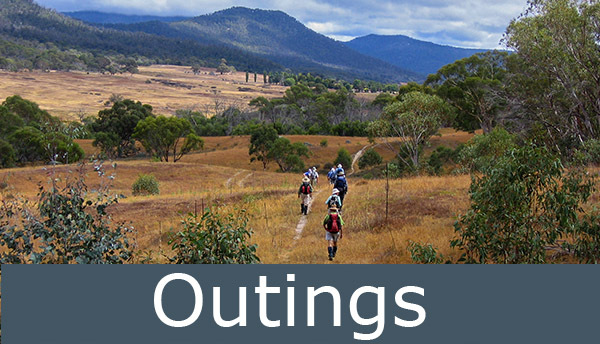 Enjoy our Bulletins Our quarterly full-colour Bulletin is packed with interesting articles about the environment, related issues and members' experiences in the bush. Learn from our field guides NPA publishes a range of professionally written field guides. 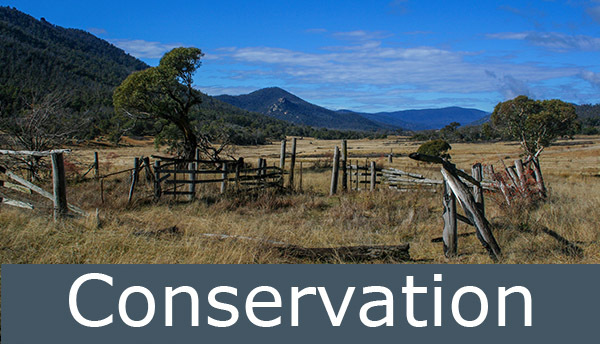 Conservation is Namadgi National Park, NPA ACT’s vision become a reality: Mt Gudgenby, Sam’s Creek and Cotter headwaters; a natural world protected. Snow in winter, fire in summer. 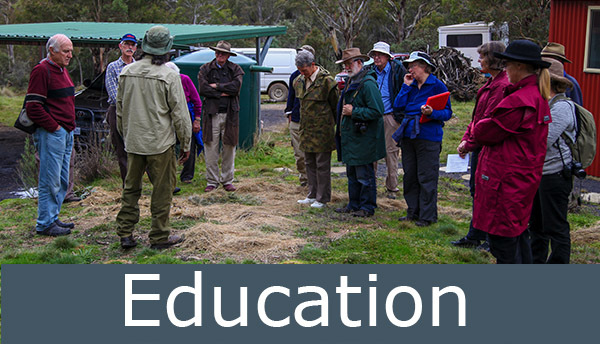 Conservation is education: the Bulletin to inform; research scholarships in natural sciences; Field Guides from Native Trees, to Birds, and Butterflies of the ACT; books to schools. Thanks to generous benefactors. 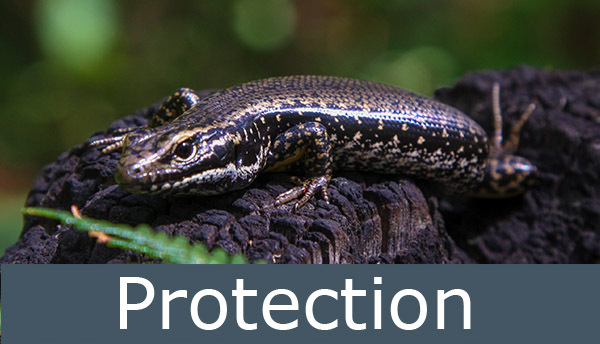 Conservation is protection: Management Plans for Namadgi, Policies on the complexities of managing Flora and Fauna, Weeds and Feral Animals, Fire, Access, and Cultural Heritage, to name a few. 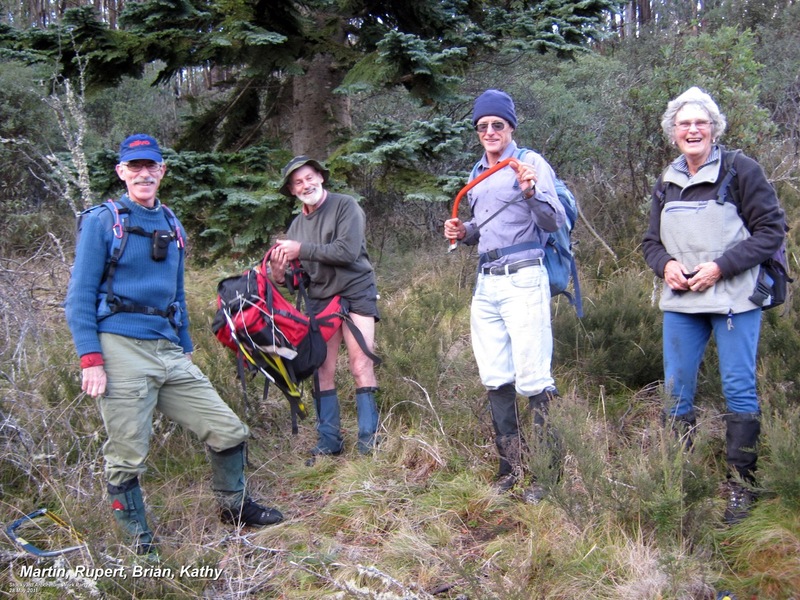 Outings: walks to Nursery Swamp or maybe Mt Kelly; parties to vanquish the pine wildings of Gudgenby; installing track and signs to Boboyan Trig; forming lasting friendships along the way. The National Parks Association of the ACT started in 1960 with the prime objective of establishing a National Park for the National Capital. Twenty four years later, in 1984, this goal was achieved when Namadgi National Park was proclaimed. Today, the Association works to promote national parks, their good management, and the protection of our fauna and flora, scenery, natural features and cultural heritage. We do this by lobbying, education and by hands-on work parties. Our outdoor activities include field trips, work parties, day bushwalks, longer packwalks, snow-shoe walks, kayaking and car camps. These enable members to better appreciate and enjoy the natural phenomena and cultural heritage. Our quarterly full-colour Bulletin is packed with interesting articles about the environment, related issues and members' experiences in the bush. NPA also publish a good range of expert-edited field guides. At our monthly general meetings, which bring members together to talk with the committee informally and over supper, guest speakers address a wide range of topics. We also send out a monthly eNewsletter "Burning Issues"
written by local experts Dr Suzi Bond, Steve Holliday and John Stein is now available in most ACT Bookshops RRP $30; for our members through NPA Office $25. Published by the National Parks Association of the ACT INC.: 323 pages, 14.5 x 21 cm - small enough to take with you into the bush. 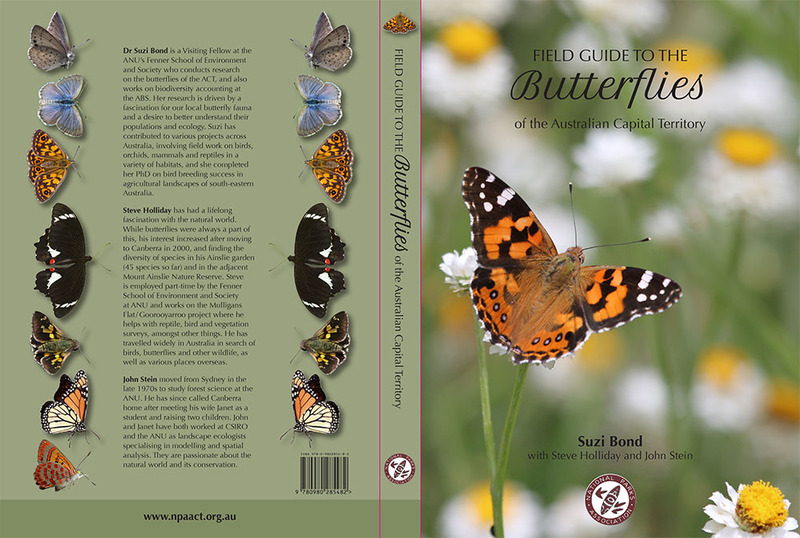 The 87 butterflies known to inhabit or visit the ACT, each stage of their life cycle where known, their size, flight an behaviour, similar species, status and distribution maps, preferred habitat, larval food plants and life cycle are described and illustrated with photographs. This guide will help you to differentiate between moth and butterflies and enable you to identify any species you are likely to see in the ACT and nearby regions. Please visit all our current publications.